We are working to develop new biomedical imaging devices for multifunctional/multiscale and molecular imaging. In particular, fluorescence tomography / microscopy, photoacoustic tomography / microscopy, and nuclear medicine imaging systems have been developed and are being used to study a wide range of applications in preclinical and clinical research. It also investigates quantification algorithms and programs for image enhancement and biometric analysis. We also support preclinical and clinical trials in the life sciences and healthcare fields such as radiopharmaceuticals, molecular cancer imaging and pre-clinical evaluation of theranostic studies. - Photoacoustic imaging is regarded as the promising imaging technology that combines ultrasound and optical imaging technology. Due its fused property, it can overcome the limitation of imaging depth of existing optical imaging systems and enable high resolution imaging of deep tissues in vivo. It mainly shows structural information such as microvascular and lipid in vivo, and it can also provide functional information such as oxygen saturation and blood flow velocity. 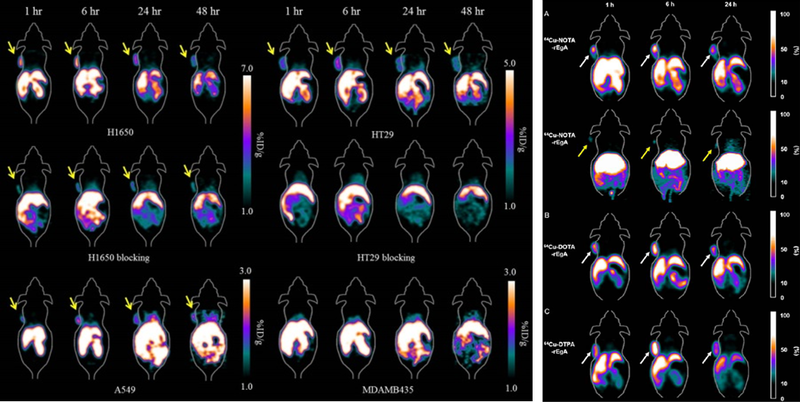 We are developing high-resolution photoacoustic imaging techniques and studying metastatic tumor metastasis, brain disease studies, and photoacoustic monitoring of drug delivery processes. - If raw data of a general video system is used, there is a limit to obtain accurate data due to noise, poor resolution, and low intensity. In addition, there are many inconveniences for general researchers to operate the system alone and analyze the data. Our team develops algorithms for obtaining improved resolution, sensitivity and quantitative biometric information of existing image systems and develops software for user convenience. 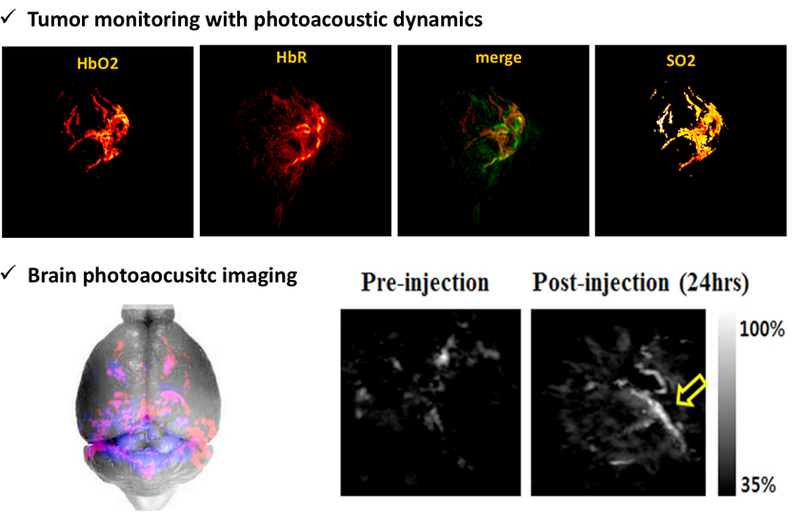 Especially, we evaluate image quality according to image reconstruction method and post-filtering size and developing a photoacoustic image processing program that can image signals of hemoglobin and other materials at once. - Nuclear medical imaging systems (ex. PET, SPECT, PET / CT), which are a representative clinical device for imaging cancer and physiological changes in vivo, is currently being clinically used for diagnosis of various diseases. In addition, preclinical studies evaluating the target function of reactants for various cancer cells are underway with evaluation of various radiopharmaceuticals. In our group, evaluation of the target function of the repebody is performed and evaluation of the target function according to the ligand, NOTA, DOTA and DTPA used in binding with [64Cu] is performed representatively.